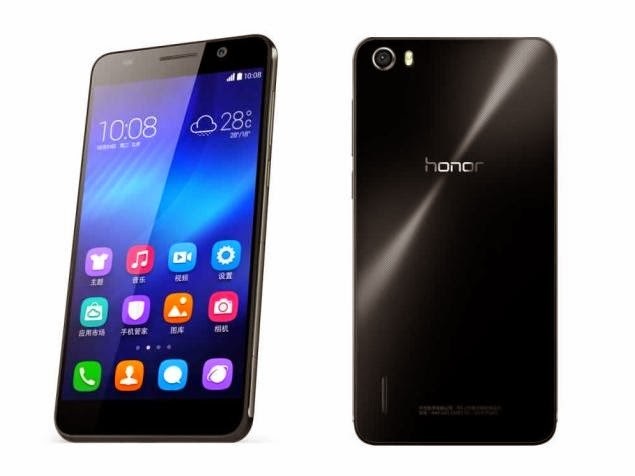 The Huawei Honor 6 Plus has been released in the Philippines with Php 17,490 price tag. The device is basically the bloated version of the Honor 6. Need a big phone? You might want to check this puppy. The Huawei Honor 6 Plus is the company’s 5.5-incher flagship which boasts full HD display with 1980 x 1080 pixels. The device has been unveiled in the Consumer Electronics Show last January and currently, it hits the local shelves with Php 17,490 price tag. The handset has been tagged as the “other 6 Plus” due to the fact that the bigger iPhone 6 also bears the same moniker. However, the Honor 6 Plus basically has its own angst compared to other phablets in the market. For one, the handset is packed with a dual-camera set-up which is somewhat similar to the HTC One M8’s Duo Camera. Its camera sensor is also worth noting at 1.98-micrometer pixel size, which also comes close to HTC’s Ultrapixel tech. Under the hood, the device is powered with a homemade HiSilicon Kirin 925. The chipset is comprised of 1.8-gigahertz quad-core Cortex A15 and 1.3-gigahertz quad-core Cortex A7; while the Mali T628 MP4 is the main unit for the graphics. In terms of memory, the device is equipped with 3GB of RAM and 32GB of internal memory. The Huawei Honor 6 Plus also has an LTE connectivity and will be powered by 3,600 mAh Li-Po battery and Android 4.4 KitKat.